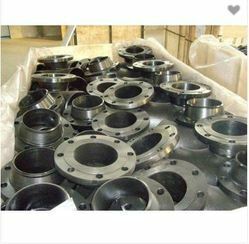 Providing you the best range of carbon steel flanges for water treatment plants and carbon steel flanges with effective & timely delivery. Nandishwar Steel also offers an unmatchable assortment of Carbon Steel Flanges For Water Treatment Plants. Known for their high performance and strength, the range possesses exceptional properties that make it widely demanded among our clientele.